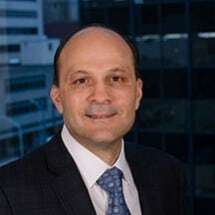 Tino Monaldo has over 30-years’ experience in a wide variety of transactions for both publicly and privately held corporations, managing, negotiating and drafting transaction documents in a variety of industries from gas pipelines, ethanol, oil and gas, construction, engineering, car dealerships, hotels and casinos. From 1982 through 2006, Tino served as outside General Counsel for a successful Kansas City based energy entrepreneur, which included the ownership and operation of a 3,000- mile interstate gas transmission pipeline system and a construction company with projects throughout the U.S. From 2007 through 2015, Tino was Vice President of Corporate Development/Deputy General Counsel of a publicly traded international hotel/casino/hospitality corporation, where he spent 70% of his time traveling to LATAM and Asia, involved in the project development, project finance, due diligence and the negotiation and drafting of complex international commercial transactions. From November 2015 until joining Coolidge Wall in April 2017, he provided legal consulting services on a project by project basis for Kansas based business clients.